Flying Home stepped up over ground for the first time this preparation and back into the winners circle on Saturday at Doomben. The six year old gelding had signalled a return to form was near last Friday night when he ran home well for fourth in a 1600 metre race. 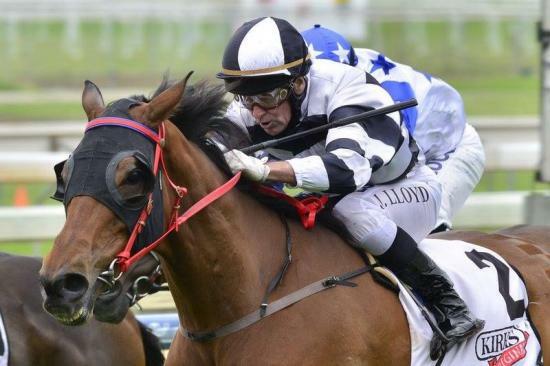 After taking no harm from the run Barry decided to back him up a week later and put experience hoop Jeff Llyod in the saddle and the result paid dividends. Flying Home jumped well before settling near the rear in the small field Llyod started to make his move at the 600 metre mark where he hooked him out for a run down the outside. At the 100 metres the pair sailed past the well fancied Parraggi to win by one and a half lengths at the line. Barry will now sit down and map out some races over the holiday season for the horse.